Our obsession for food starts right from the CEO and extends to our team of expert chefs and food specialists. Our passion for food and our fixation with quality is what you get when you come to Arora Hospitality Group. We have a sound infrastructure and our organization has stood the test of time to become the most famous name in south Asian culinary history in the US! Our staff comprises of diverse personalities. We hire and train people to be excellent at what they do. 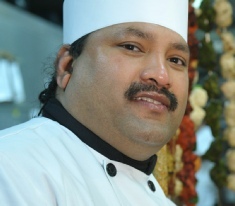 Our executive Chef has headed our kitchen for a remarkable period of more then 20 years. We have created larger then life experiences, memories, and food for people from all walks of life. Our food specialists, food technologists and nutritionists keep us ahead in the eternal run for a healthy way of living. Adorning our food preparation experts are our team of in-house pastry chefs, professional food carvers, graduates and interns from the finest culinary institutions who strive to excel in the ever-rising demand for higher standards in presenting food in an inviting and irresistible display. Arora Hospitality’s army of culinary experts put their hearts and souls and their very best of skills & abilities to go beyond expectations, opportunity and potential. For us, excellence is not a destination; its a lifelong pursuit. We celebrate our accomplishments, but we’re never satisfied with status quo. We’re always looking at what’s next: how can we improve ourselves, how can we incorporate new ideas, take on the next challenge, write the next chapter! And we know without a doubt, that achieving our goals is a team effort and every contribution matters. At AHG, we believe in dialogue, honesty and transparency and empowerment of our employees. Because we know that it’s our employees who make everything possible. We believe that the greatest factor in the success of a business is the quality of its people. Across all our businesses, we work hard to attract, hire, train and retain an extraordinary staff that is notable for its friendliness, skill, intelligence and work ethic. With our wide range of individual businesses, we are always looking for people with a variety of skill sets and experience. Listed alongside are positions that are currently available on our team. To apply, please download the application below to print and complete. You may email the application to info@AroraHospitality.com, fax it to 732-549-7978, or drop it off at our office in Edison, NJ. We look forward to hearing from you! Arora Hospitality Group provides equal employment opportunities to all applicants for employment without regard to race, color, religion, gender, sexual orientation, national origin, age, disability, genetic information, marital status, amnesty, or status as a covered veteran in accordance with applicable federal, state and local laws. You will need Adobe Acrobat Reader to view this document. To download this free software for viewing and printing Adobe Portable Document Format (PDF) files, click here to visit the Adobe website.